Cherry Lanes Arcade Bar hosts a tap takeover from One Barrel Brewing Co. Thursday, Dec. 27. Photo by Len Villano. Cherry Lanes Arcade Bar of downtown Sturgeon Bay and One Barrel Brewing Company of Madison and now Egg Harbor, two of Door County’s newest businesses, are partnering up for a fun night of beer and specials. At 5 pm on Thursday, Dec. 27, One Barrel will take over four of the Cherry Lanes tap beer lines offering patrons a chance to taste a selection of One Barrel’s craft beers. 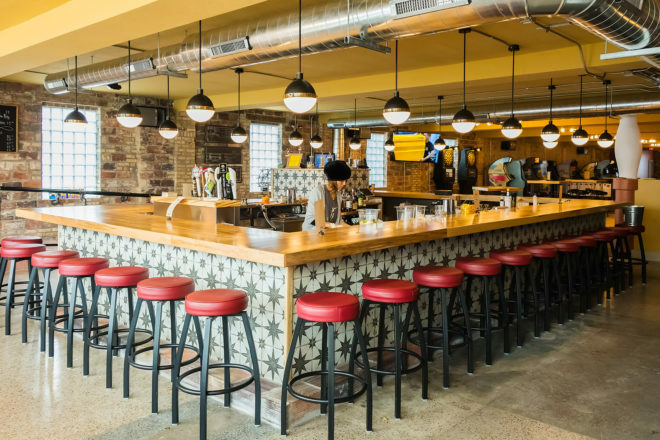 The eight tap lines at Cherry Lanes are dedicated to Wisconsin beer and found an instant match with One Barrel and their vision of quality beer in a laid back Wisconsin tavern vibe. The tap takeover includes prize giveaways. Every One Barrel beer purchased comes with an entry to win prizes given away each hour from 5-9 pm. Meet the owner of Door County’s newest brewery, Peter Gentry of One Barrel Brewing. One Barrel’s tap take over beers include: Commuter Kolsch, Hypercolor NE IPA, Fanny Pack IPA, and Trinity Belgian Tripel. Cherry Lanes is also offering coupon give aways and other specials throughout the night. Cherry Lanes will be open until 2 am. 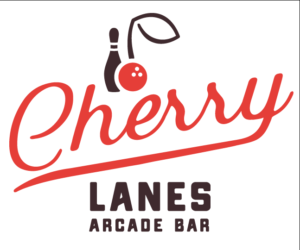 Cherry Lanes Arcade Bar opened Nov 1st 2018 downtown Sturgeon Bay. Cherry Lanes has four restored vintage bowling lanes, an impressive pinball and classic arcade game lineup along with pool, foosball, & air hockey. Cherry Lanes is open daily with a full bar, pizza, brats, hotdog and snack food options. One Barrel Brewing Company is based out of Madison and will be opening a tap room in Egg Harbor this spring.